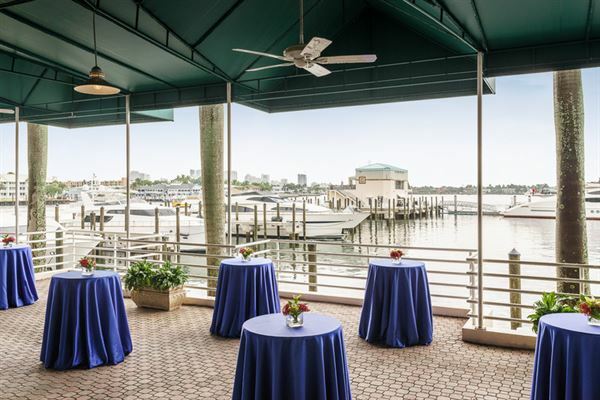 At Pier 66, we’ve long distinguished ourselves among other resorts in the area as a Fort Lauderdale event venue that combines exceptional convenience, exquisite surroundings, and excellent service. Set amid our 22 acres of Fort Lauderdale waterfront, you’ll find a host of indoor and outdoor options, including our Panoramic Ballroom, boasting an expansive outdoor terrace, as well as our 3,000-square-foot Pier Top, offering 360-degree views of downtown Fort Lauderdale, The Intracoastal Waterway and the Atlantic Ocean. Big business meeting or romantic new beginning, let our Event Specialists help you plan a perfectly unforgettable occasion.